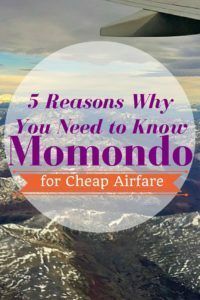 When I tell people about my favorite websites for cheap airfare, the name Momondo isn’t what they expect to hear. More commonly, it’s usually an unfamiliar website for them. They expect to hear well-known online travel booking sites like Expedia or Travelocity. More on this in just a second. Now if you follow the blog, you know I mostly use miles and points for award travel. However, cheap flights are just that, cheap! Sometimes, it just makes more sense to take advantage of a deal than to pay with miles and points. 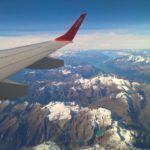 Over time, I’ve tested out different websites and strategies for finding the cheapest flights. Momondo flights were consistently the cheapest. What’s more, I discovered I wasn’t alone. The Momondo flight search tool was endorsed by trusted travel sources like Frommer’s, Forbes, Travel & Leisure, and New York Times Travel. The research done by Reid Bramblett of Reids Guides caught my attention, too. After completing test after test of online airfare sites, his Momondo reviews showed the search tool found the cheapest airfare 95% of the time! Whoa! 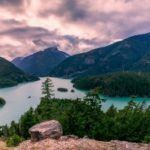 This Momondo cheap flights success rate is just too good to ignore. I know some of you have never heard of Momondo and you’re asking why not use one of the major online booking sites like Expedia, Travelocity, or Orbitz. 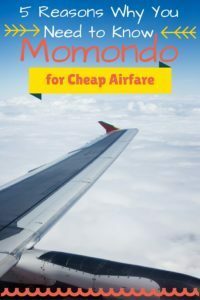 Before, diving into the reasons why you need to be using Momondo and how to use it, let’s first take a look at why these well-known sites for booking airfare may not always show the cheapest airfare. Why not use an online booking site to find the cheapest airfare? 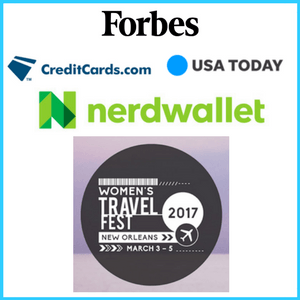 Have you priced and booked airfare using an online booking site like Expedia, Travelocity, or Orbitz? 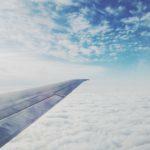 If you’re like most people, you have and probably felt good about shopping around for the most affordable airfare. Did you know Expedia owns both Travelocity and Orbitz? The online travel websites you use for booking airfare, hotels, and rental cars may not be all they seem. In fact, over the past couple of years, many smaller online travel booking sites have been acquired by large companies. In addition to Travelocity and Orbitz, Expedia owns CarRentals.com, Hotwire, CheapTickets, Trivago, Venere.com, and Hotels.com. The point is, you may think you’ve done your homework by searching across different sites, but the truth is, you’ve probably been looking at sites all owned by the same parent company, making the prices not as competitive as you might imagine. This doesn’t mean these online booking sites can’t find cheap airfare. What’s more, travel experts were concerned with the announcement that Priceline would acquire Momondo in mid-2017. However, Momondo has maintained its status as a non-biased cheap flight finder, solidifying the importance of a comprehensive search Momondo cheap tickets search before you take out your credit card to buy. 1. 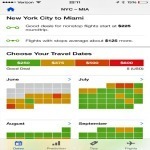 Momondo is an aggregator that searches for the best airfare across the web. Without adding fees, Momondo pulls in data for your selected route to show you all available flight options. 2. Momondo searches over 1000 airlines, online booking sites, travel agencies, search engines, and other online travel discount sites. This is more than double and, in some cases, triple the number of sources used by typical booking sites. 3. Which brings us to the fact that, Momondo isn’t a booking site. It’s a metasearch engine whose function is to return airfare data without steering you toward one set of results over another. Once you find the flights you’d like, Momondo redirects you to that booking website. 4. Unlike many online booking sites, Momondo includes small, budget airlines and lesser-known airlines as it works to find the lowest airfare. Ever heard of FlyScoot? No worries, Momondo has. Even better, Momondo shows Southwest flight results which many other travel websites do not. 5. Oh yeah, and in test after test, Momondo came up with the cheapest airfare 95% of the time! 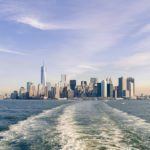 Google Flights may come out ahead of Momondo in search speed, but Momondo is much more nuanced with all the details you need to choose the best cheap flight. 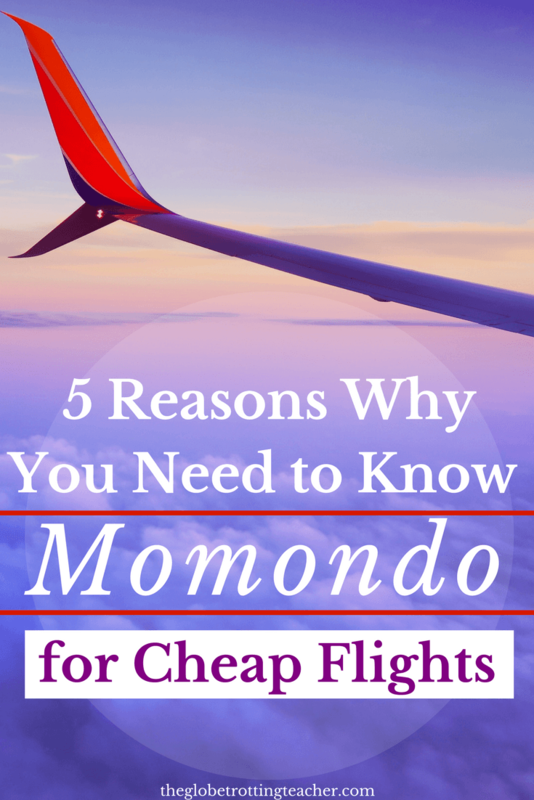 Ready to see how you can use the Momondo travel tool to find cheap airfare? TIP: Before getting started, be sure to use an incognito window for searching or clear your browser’s cache after searching to avoid price increases! For more tips, check out my guide all about cheap flights and flight search tips. You can do a basic airfare search with Momondo just as you would on most travel websites. Enter your departure and arrival airports, along with the dates and number of passengers. Just under this information, you’ll find drop-down menus to select your trip type, ticket class, whether you’d like to only search for nonstop flights only, and if you’d like Momondo to search nearby airports. Momondo will display the results on a screen like this one. The bar graph at the top shows your selected dates in yellow and the prices for dates close to yours in blue. You can immediately see whether your departure and arrival dates are the cheapest options. If you click on a blue bar, your results will be refreshed with the new dates. Momondo also shows the cheapest, quickest, and best options in the pink bar just above the flight results. Clicking on any of these will bring the flight details to the top of the results. Another handy customization feature is the “Timetable” option on the blue button just above the cheapest, quickest, and best options. This allows you to select which outbound and inbound flights you’d like to create your own itinerary. The prices for each leg are shown, as well as the duration and Momondo’s 1-10 happiness rating. The orange “Fare Alert” button allows you to sign up or log in to get updates on price changes for your selected route. Along the left side of the results, you’ll see filters you can apply in order to refine your results. I like the filter by airline alliance, which is helpful when trying to earn frequent flyer miles in a particular loyalty program. Momondo displays an overview of information about your route and the factors that affect the price. 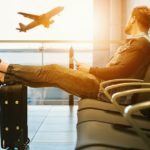 By selecting the tabs along the top, Airline, Seasonality, Days to Departure, Airport, Day of Week, and Time of Day, you’ll see a separate breakdown of these price factors. 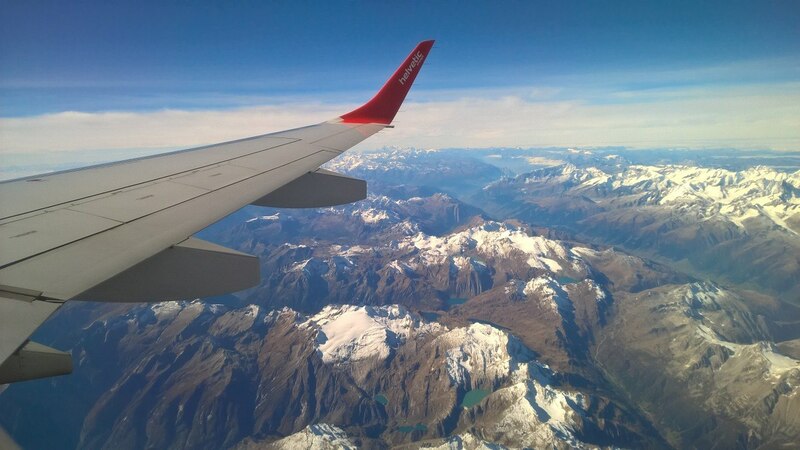 You’ll learn how far in advance you should book your flight for the best price, which months are the cheapest or the most expensive, and which airlines tend to offer the lowest prices for your route. When you’re ready to book, click the green “Go To Site” button. Momondo will open a new window and take you to the booking site to complete your purchase. Be sure to use a card like the Chase Sapphire Reserve to get 3x the points for travel purchases. One last fun feature to highlight is the Momondo “Trip Finder” search. Scroll down on the homepage or select “Trip Finder” from the navigation bar. You can set a budget and search by destination type, continent, or month. Momondo will inspire you with a variety of trip results! You can even enter your home airport into the departure field and “Anywhere” in the destination field and Momondo will come back with cheap flight ideas based on when you want to travel! Genius. But, I saw a negative Momondo review? Is Momondo legit? Momondo isn’t a booking site, just a metasearch engine. When the Momondo search engines find the cheapest flight, it may be sold by a smaller online travel agency (OTA) you’ve not heard of. The majority of these OTAs are completely legit and just acting as a middleman between you and the airline. Ultimately, you have to make the choice you’re most comfortable with, even if that means paying a few extra bucks because 1 OTA has better terms and conditions than another. Remember, Momondo serves travelers in 30 different international travel markets and is a trusted and well-respected source for cheap flights in the travel industry. The Momondo flight search tool never adds fees or works with third-party sites which can add to the cost of your flights. The results you see have been compared against millions of data points from around the web. When you use aggregator and metasearch website Momondo instead of a standard online booking site, you can feel confident about the price you paid for your airfare. 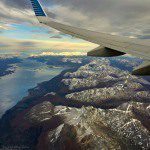 Have you found a Momondo cheap flight? Where Do Your Miles and Points Want to Take You? Checked it out. It gives better or same fee. Will bookmark it. Thanks. Thanks, Marc! Hope it proves useful for you! I used momondo for moving around Europe, it really helped. Fantastic, Karla! It’s so good to have firsthand accounts of how Momondo helped! Very interesting. I’ve never heard of that site. 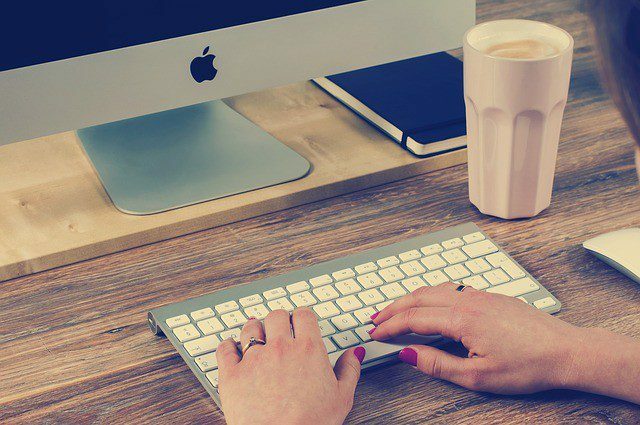 For me, I’ve always blanketed the search with the biggest search engines out and have managed to save a few dollars here and there. Thanks for your comment, Milosz. Definitely give Momondo a try. The fact that it’s independent could just help you save even more than some of the bigger sites. I use momondo and love it! Quite often them and google flights have the cheapest flights for me! That’s great, Anita! Google flight is also a great tool! Glad you’re finding flights for less!? Aw! I never heard of it. Thanks for the heads up. I am already booked till May so I’ll check Momondo out for my future flight bookings. Awesome, Jem! I’m sure you’ll find some great prices on Flights. Completely agree with you on Momondo! I learned of it last year, before our trip to Europe and they did have the cheapest flights! I also like their web design, and the ease of switching the dates to see which flights would be cheaper. That’s great, Jolanta! So true about the web design. It’s smart and so user friendly. Thanks for the interesting information a lot to think about. I didn’t know that Expedia and Priceline own most of the travel websites. But I find that skyscanner finds some good deals also. You are so right about Skyscanner. It’s a close 2nd to Momondo for sure. Hope using Momondo will find you some cheap flights! I always use Momondo. It really is the best! So user friendly too. I tried one test reservation, was directed to Omega Flight Store, then searched for reviews on Omega and was appalled at its terrible reviews for service. Also, I found the same flight at the airline for a few dollars less than Omega. Thanks for adding to this resource, JAS. Totally agree that you have to pay attention to tiny flight booking sites that may have different T&C’s than larger sites. I’ve also used ITA Matrix, Google Flights, and ExpertFlyer and found them all to be useful tools. While I have used Skyscanner successfully as well, they are an aggregator just like Momondo and the same heads up about little-known booking sites applies. Hi. I’m a bit frustrated – Could not find “Flight Insight” as mentioned above. Hi Matilda, thanks for your comment. I’m frustrated, too! I’ve checked for Momondo’s Flight Insights and couldn’t find them either. They must have made some updates. I’m sad to see those go, though, because they were helpful. I’ll update this post accordingly. As an alternative, try the Hopper app. They have a similar feature for giving you tips about the best times to book. Good luck! Article may have to be updated..It says that Momondo is independent. I think that it’s.been bought by Priceline group. I wonder, are there any independent aggregators left? You are absolutely right. This article is at the top of my list of the ones that need updating. Thanks so much for reading, though. I will say, Momondo still comes up as finding great fares. I often check Google Flights, too. And, if Momondo recommends a booking site I’ve not heard of, I always do a quick search to see what the reviews are just in case. If you haven’t yet, take a look at the Hopper app. I find that to be a helpful tool, as well. Jackie, It is very nice to find a travel search engine like this that gives me the cheapest airfare for somewhere that I can afford including other costs of travel according to my budget. And it is for a particular time that I don’t have too much money. It is a good idea really. Thanks for your post! I have a concern. Momondo results give me many travel website options, but when I look up the reviews for them they are usually really bad or possibly a scam. Have you ever had any trouble with this? Are all of them legit? Momondo led me to a website called BargainAirTicket.com to book a flight and it was a SCAM. I booked the flight and a couple hours later I received a grammatically incorrect email asking me to call the company. The person answering the phone had a heavy accent and child crying in the background. “Jordan” told me the price of the flight had gone up by $150 just after I purchased it and said I needed to pay the difference. I said I would not pay and they could just give me a refund to buy my ticket elsewhere. He then told me he could give me a “deal” of $50 off (making the flight the same price it was on a few other websites I’d seen.) I gave a firm no i’m not paying any more for this ticket. Jordan got mad and barked that he’d submit my ticket and just have to take a loss on it. He then hung up on me before I could respond. 24 hours later I received a call about my ticket from a person who sounded a lot like Jordan lol. My ticket was canceled because I wouldn’t pay the higher cost. He admitted that was the reason. I’m so worried that this scammy company has my CC info. They also screwed me over because I ended up having to make the ticket purchase less than two weeks before the departure date so the prices all went up significantly. I tried to quickly research the company before buying, but the name of the website makes it difficult since the words bargain air tickets show up in many search results. Right now I just searched for the same flight that’s about 1.5 weeks out and BargainAirTicket has once again listed the low airfare they lured me in with. They’re planning to bait and switch someone else. I’m left watching my Chase Sapphire Reserve like a hawk. Good luck everyone. Also, too bad Momondo has been purchased by Priceline. Have you noticed one of Momondo’s Timetable feature is no longer exist in their website, I wonder why? It was such a good feature . How does it compare with other aggregators like kayak? Thanks for reading, Henry. Momondo finds the cheapest fares 95% of the time compared to other aggregators. never use those small otas attached to momondo. They are all scammers. Book directly with the airline. Thanks for reading, Jojo. It is important to vet out the OTAs and booking with the airline is always preferred. Ok now we’re in February 2019- i would like to book flights on short notice.. do you still recommend momondo? Please update even with a concise yes/no answer asap. If not what’s the next best recommendation? I appreciate the work you’re doing here and the honest approach – clarifies important issues. Thanks for reading, Judy. Last minute flights can be so tough. Airlines raise prices as the departure date gets closer. Your best bet will still be to look at Momondo and Google Flights. Good luck! Several problems with OTA. Prices are not live. Those fares may not be available now. Their T&C’s are different to the airline, don’t expect the same outcome with changes and cancellations. When something goes wrong the airline will direct you back to the OTA – you may not get customer support when needed (hopefully not “Jason”). Finally, they can trade with liquidity problems. Airlines can cancel your ticket if they haven’t been paid. BestJest recently headed into bankruptcy with many people losing paid fare costs. As has been already said, use due diligence before booking with OTA’s. But not a Momodo problem, even TripAdvisor prices link to OTAs. Thanks for reading, Charlie. As you noted, it’s not necessarily a Momondo problem but an OTA issue. When booking on Momondo or any OTA, it’s important to check reviews and to understand the cancelation terms and the customer service will most likely be different than had you gone through the airline directly. That being said, I’ve found great deals and still stand by using Momondo to search for the best fares. Just do your homework ahead of time to understand who you’re booking with. sorry, typing error above, should read BestJet (that has failed recently). When is the best time to purchase a ticket from USA (Chicago) to South Korea? I have heard 120 days prior. We are planning a trip in September.